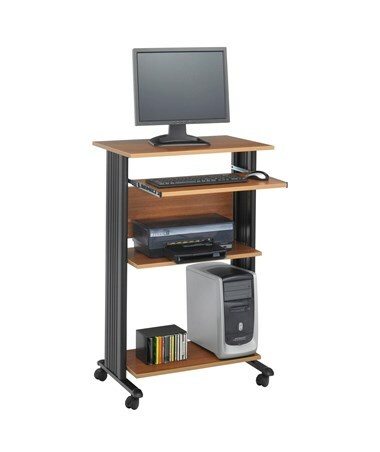 The Safco Muv Stand-Up Desk is a tough computer workstation that promotes the benefit of standing. 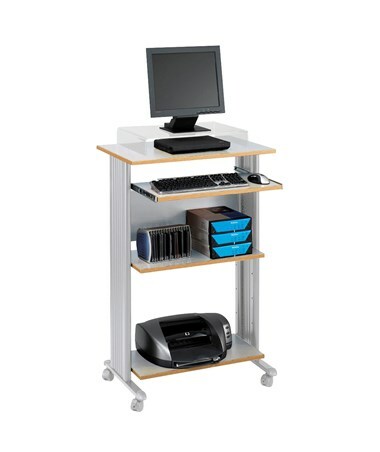 It has a height of 45 inches and a total weight capacity of 125 pounds. It also has a total of four shelves, including a fixed top shelf and three bottom shelves. 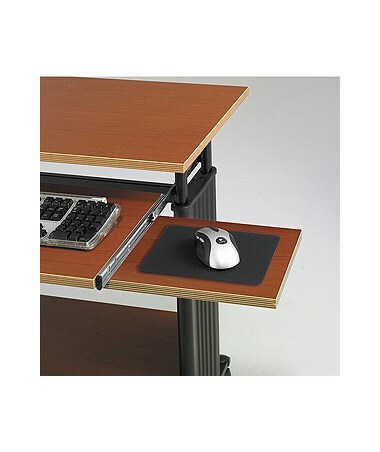 The keyboard tray extends 9.75 inches, retracts under the work surface, and adjusts in five-inch increments. Also featured are decorative molded panels that hide the cables and a front wood panel. 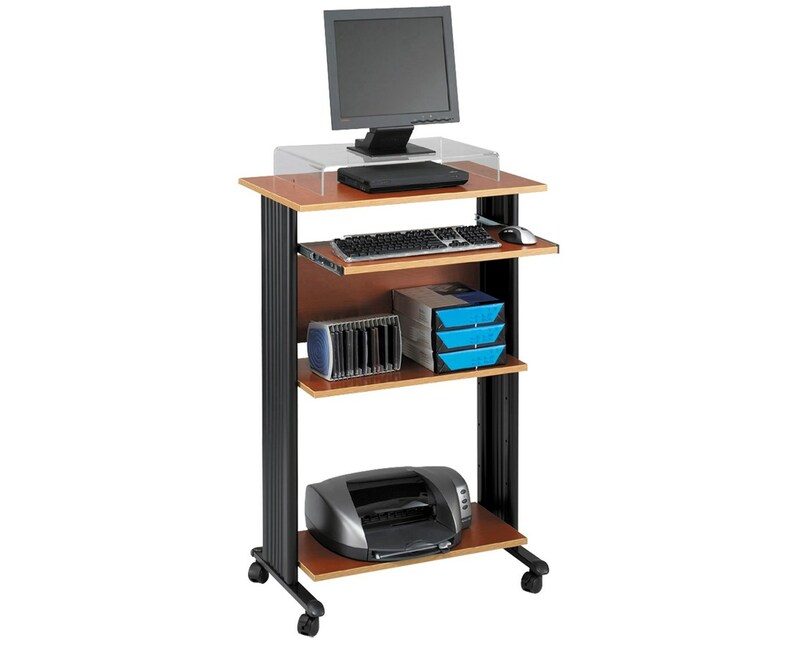 This desk moves smoothly with its four dual wheel carpet casters and two of these wheels can be locked. The desk’s shelves are made of compressed wood with a melamine laminate, while the frame is made of steel with a powder coat finish. 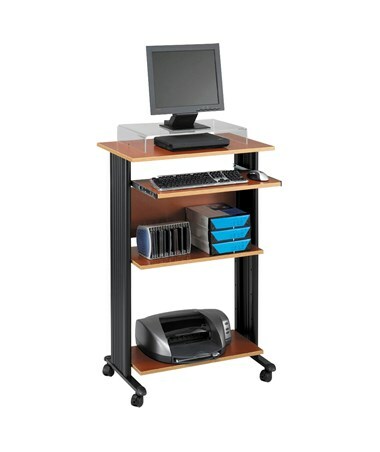 The Safco Muv Stand-Up Desk is available in three different colors. Please select your preference from the drop-down menu above.